Skirts are an interesting. I believe that they represent the zeitgeist (spirit of the times) best of all the clothing genres. Think about it....trends with skirts change constantly...short, long, midi, fluted, A-line, mini and full. 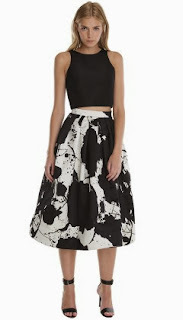 Currently I have been seeing lots of full skirts everywhere which is reminiscent of the 1950's in a really fun way. The pictures don't do these skirts justice, because in real life they have some weight to them and look like something you would wear to a Ball or you know to the grocery store. If you're not the type of woman to attend balls or happen to be a 1950's housewife then just wear it out to dinner with friends. 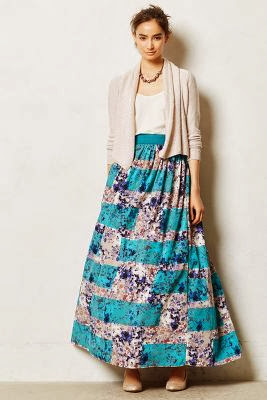 Wherever you wear it, these big skirts will make you feel like a star and let's be honest we all like that! This lovely is ON SALE HERE! Also ON SALE, act fast!